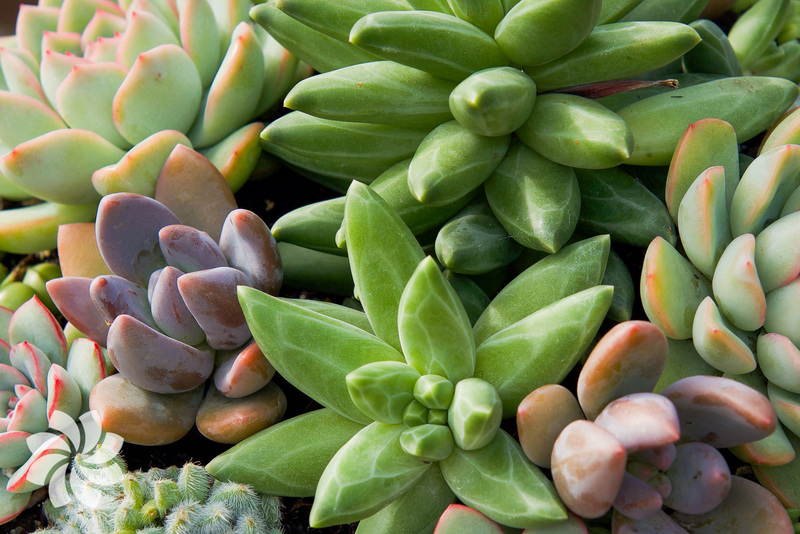 Our expert guide to help you to plant, pot and water your succulents successfully indoors and out. 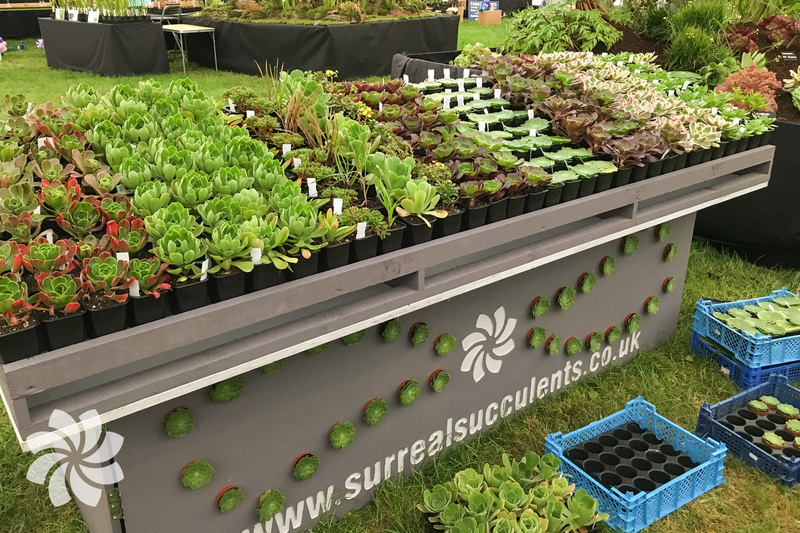 Last year Surreal Succulents were excited to be exhibiting for the first time at the RHS shows. 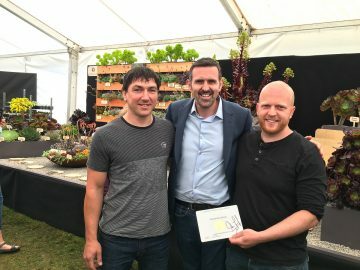 This was a new challenge for us as we are new to showing plants at this level. We wanted to showcase the colour, texture and form and highlight how well they work in a garden setting together. 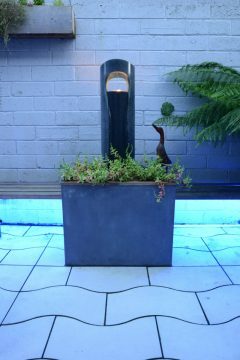 We came up with a contemporary display garden theme that would suit any small space such as a yard, patio or balcony garden. With of course its’s own Surreal Succulents style. We decided to design and make some features for our show stand including our bespoke vertical succulent garden, succulent chaise longe and also corten steel planters. With a contemporary designer theme, we wanted to show how you can squeeze lots of plants into a small space. Using existing walls or furniture with space for plants designed into it to take up as little room as possible. 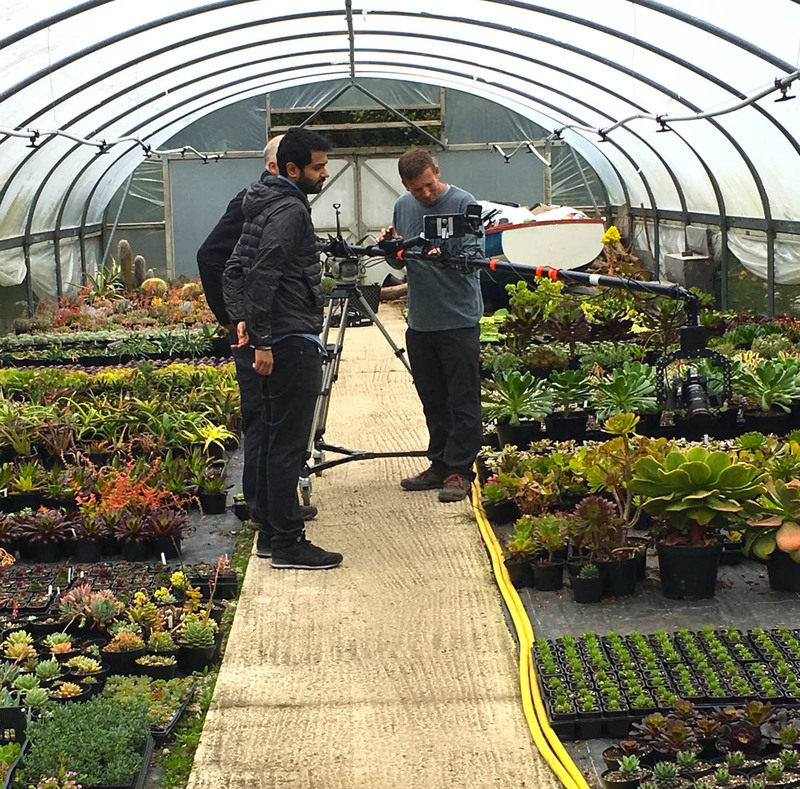 We were delighted to be approached by BBC Gardener’s World as they wanted to do a feature on us preparing for the show and film the final display garden. This was fantastic news for us but the pressure was on. 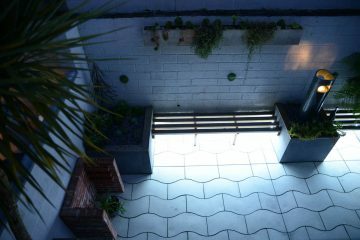 Mark came up with the design of the vertical garden and succulent chaise lounge. The succulent chaise lounge was inspired by the amazing repetitive patterns found in succulents and the design was certainly surreal. It was a concept piece that is actually comfier than it looks. 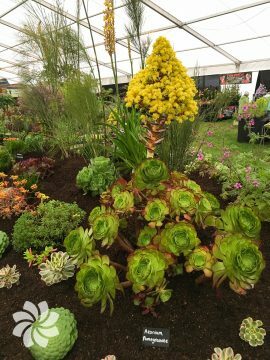 We planted the head rest with Aeonium ‘Cyclops’ as these grow giant rosettes on the end of large upright stems, these looked like sun parasols. 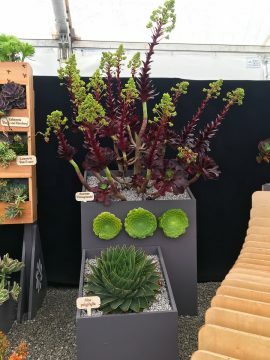 We also mounted multiple Aeonium tabuliforme vertically into the design. 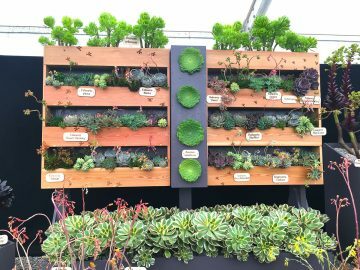 The vertical garden was designed with the idea that if you only have a small wall space you can still enjoy a wonderful colourful succulent garden. 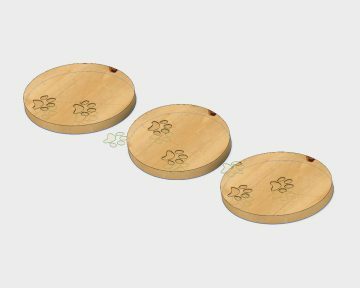 We added some laser etched foot prints to make the design more surreal and add a different texture to the show piece. This was planted up with our Echeveria collection and looked amazing. We then made and planted some large planters to show how a raised bed or a rockery/gravel garden might look when planted up with amazing succulents. 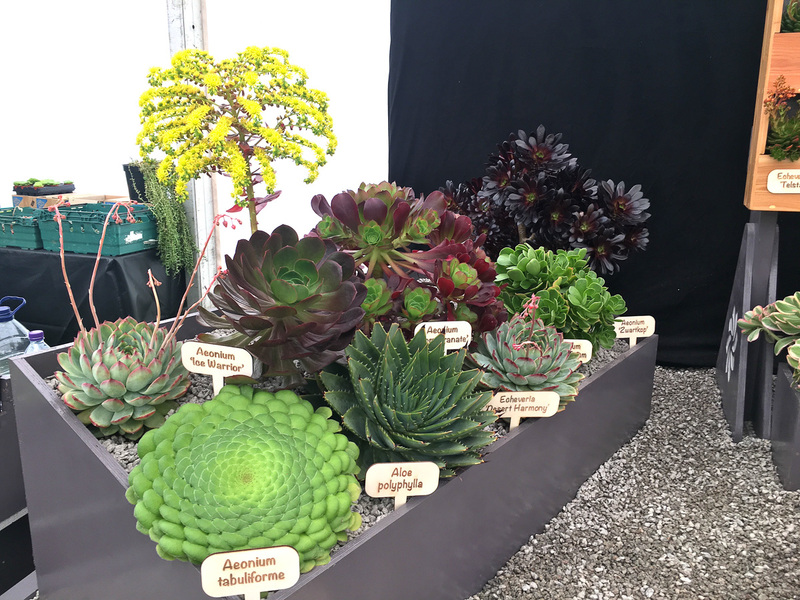 Our feature plants were the Aloe polyphylla, Aeonium ‘Pomegranate’ , Aeonium ‘Velour’, Aeonium ‘Ice Warrior’ and Aeonium ‘Sunburst’. Our large corten steel bowls were planted up with our Surreal Succulents hybrids and large Echeveria’s from our collection. These were a great edition to the stand, and were a massive hit with the visitors. 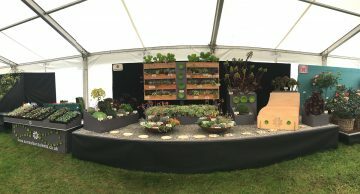 We finished the set up with only 10 minutes to spare, It looked amazing and we were so pleased with it. 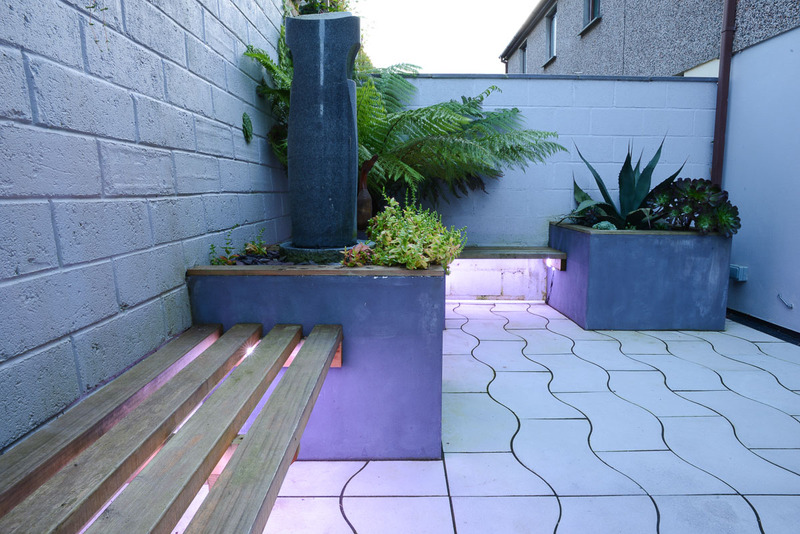 All the features worked well and the colours of the planters and wooden textures went really well with the plants. 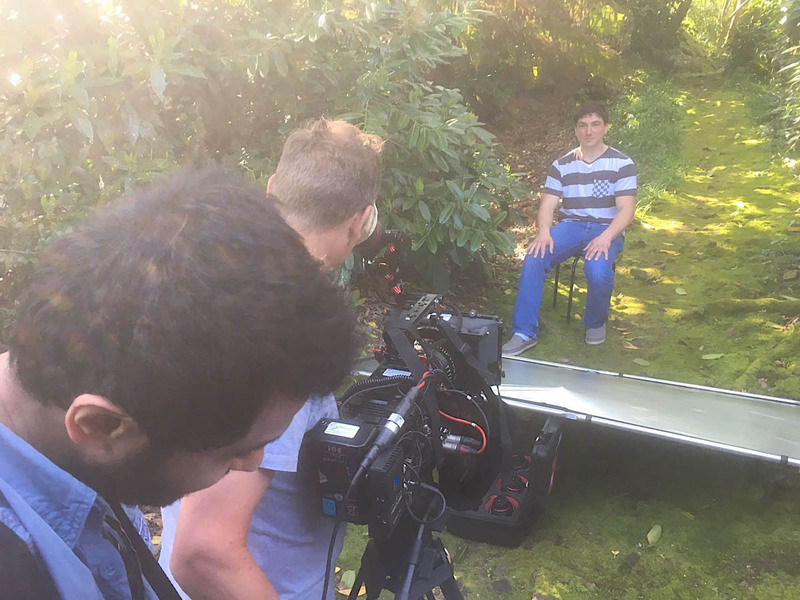 The next morning we were met by the BBC producers and it was at this point we received our medal. A silver gilt, we were so happy and delighted as this was our first RHS silver gilt we had ever received. It was so nice to share this experience with the BBC team as they had met us before and filmed at the nursery to cover the feature, they were really rooting for us. The show opened and we were filmed with the legendary Adam Frost, It was amazing to chat with him before filming. Adam said he had seen our feature covering our nursery and he really enjoyed it. 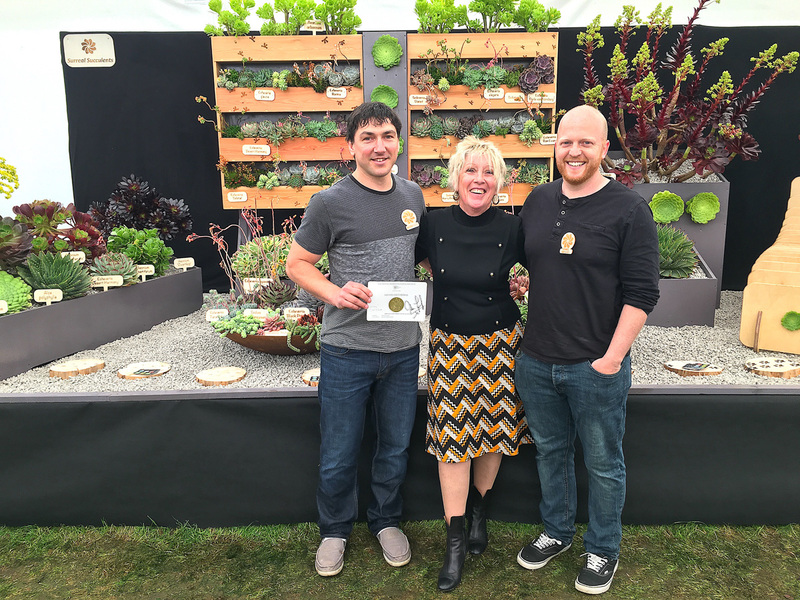 A short while later we also met Carol Klein who was very popular at the show. The floral Marquee soon filled and the atmosphere was buzzing. It was amazing watching the crowds of people taking pictures selfies and popping their pictures on Facebook and Instagram. We felt a massive sense of achievement but the best bit was meeting all of you that visited the show. We loved everyone getting inspired by our garden and buying our succulents. Aloe Polyphylla also commonly known as the Spiral Aloe. 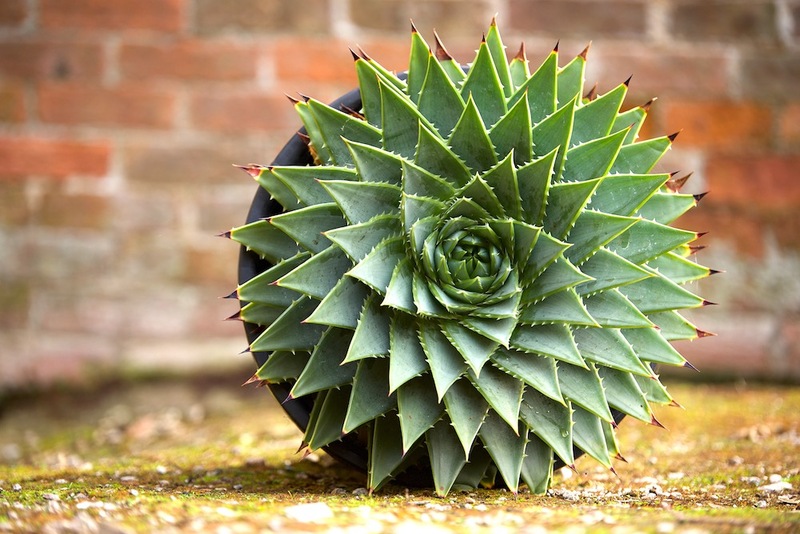 The Aloe Polyphylla is a Surreal Succulents favourite, it has fantastic growth patterns and can withstand temperature well below freezing making a perfect outdoor year round UK succulent. Aloe polyphylla also commonly known as the Spiral Aloe. 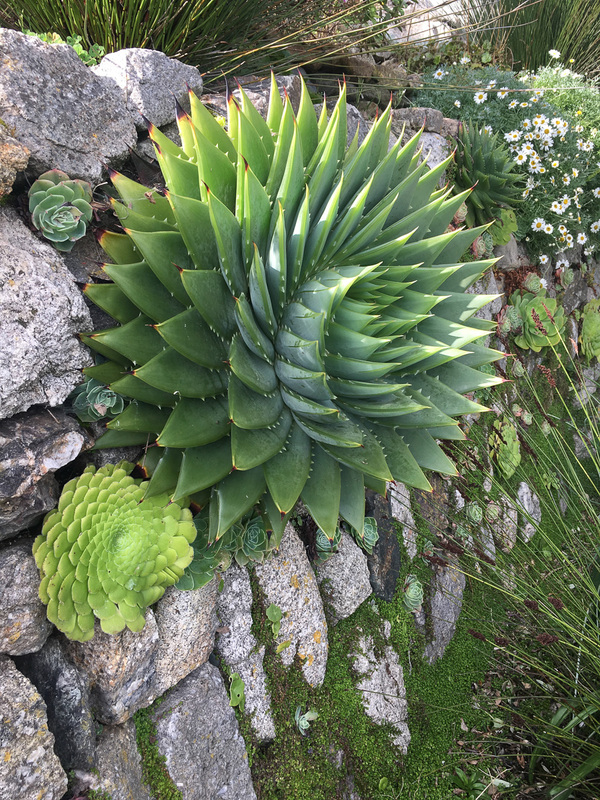 The Aloe polyphylla is a Surreal Succulents favourite, it has fantastic growth patterns and can withstand temperatures well below freezing. Making it a perfect outdoor year round UK succulent. 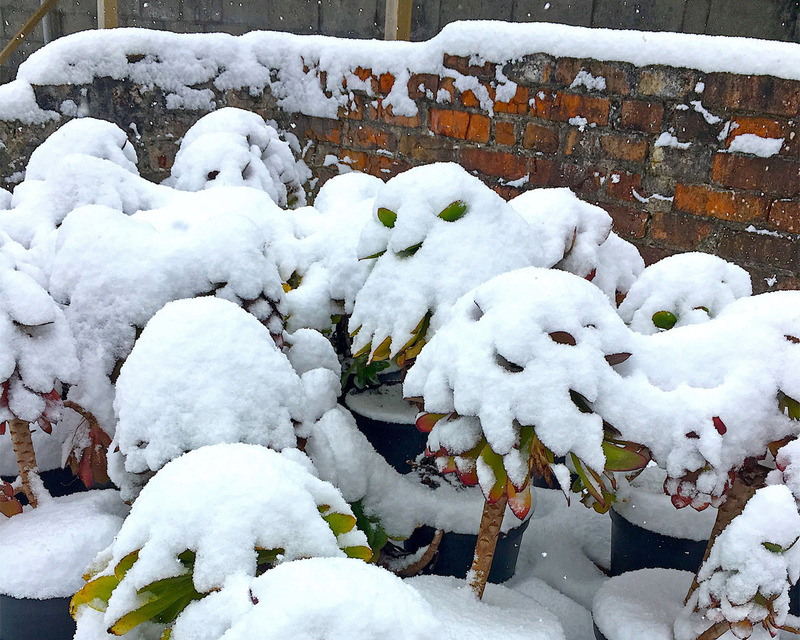 The Aloe polyphylla is native to the Maluti mountains of Lesotho which is an area rich in minerals and high levels of winter snowfall, it is also the national plant of Lesotho. 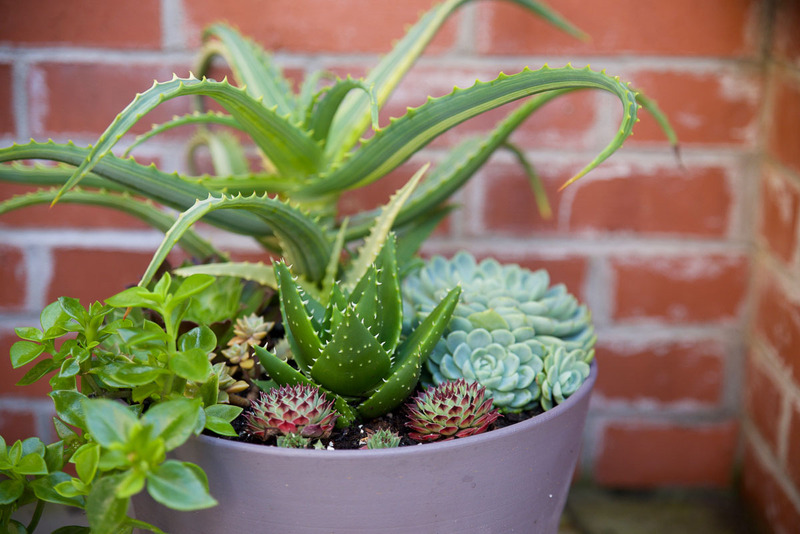 The Aloe polyphylla breaks all the usual rules for keeping succulents. 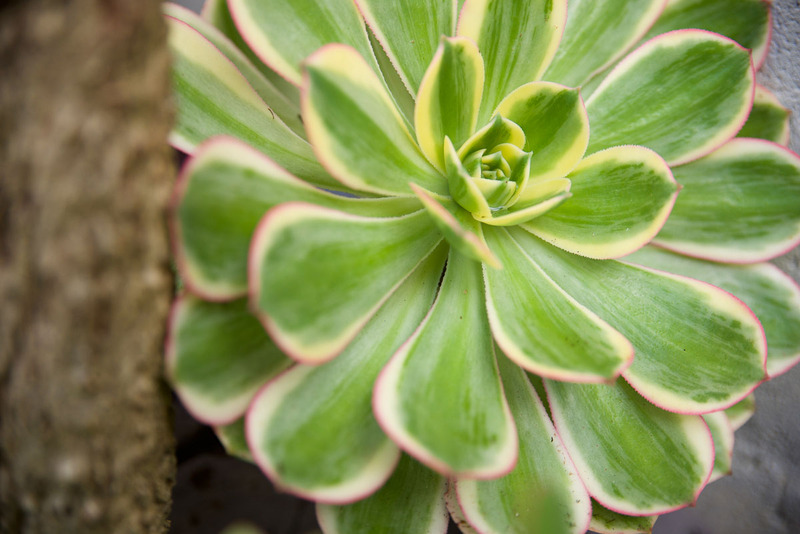 They are an incredibly thirsty and hungry plant that benefits from extra feeding and watering during the growing season. They respond by appreciating air to the root system and not drowning in water. This will cause their roots to rot, slowing down growth rates. 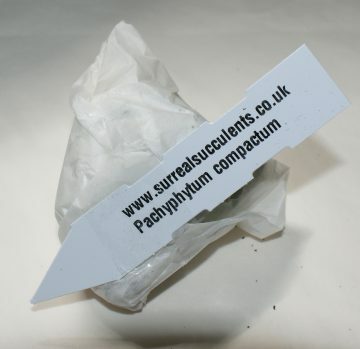 To achieve a growing medium that will encourage root development, we use standard multipurpose compost at 55% then we add 35% of perlite and a further 10% grit to the mix. We also add a 6-month slow release fertiliser. 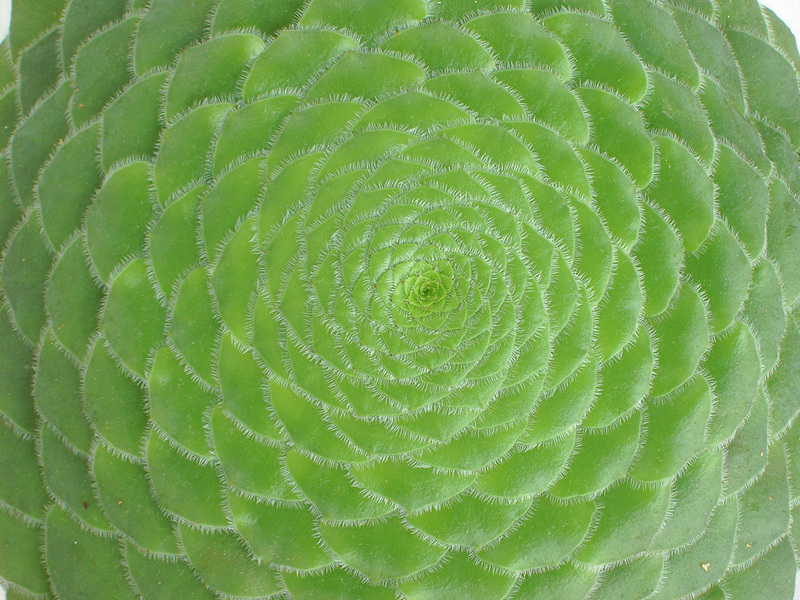 As the Aloe grows, the bottom leaves of the Aloe polyphylla naturally dry out and die back. This process encourages new roots to develop, old leaves can be removed carefully by hand. When planting this succulent, it will benefit from being planted on a hump or mound. Angling the Aloe will encourage the water to run away from the leaves and to the root system. 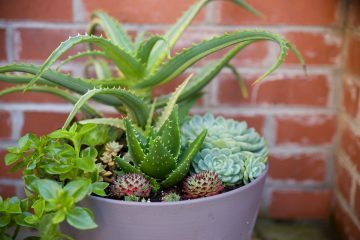 To appreciate its beautiful growth form, angle the Aloe in the garden or pot and admire the beautiful spiralling crown. 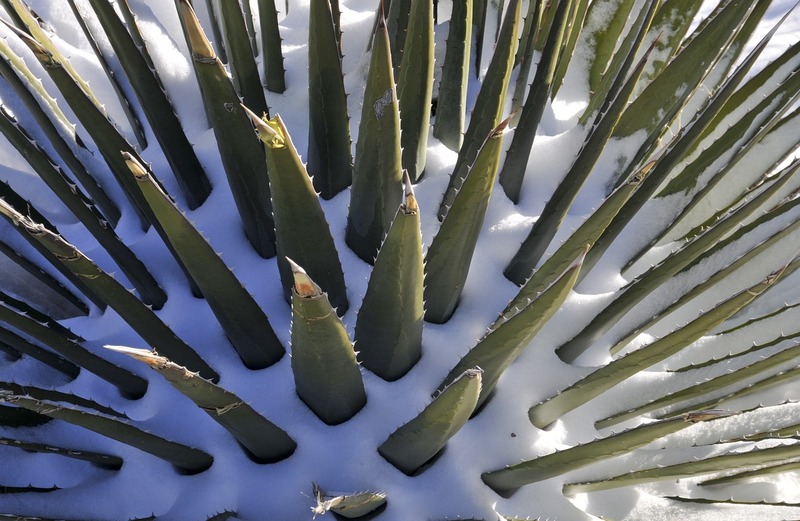 One of the most unusual features of this Aloe is the fact that it can survive and thrive in temperatures well below freezing. 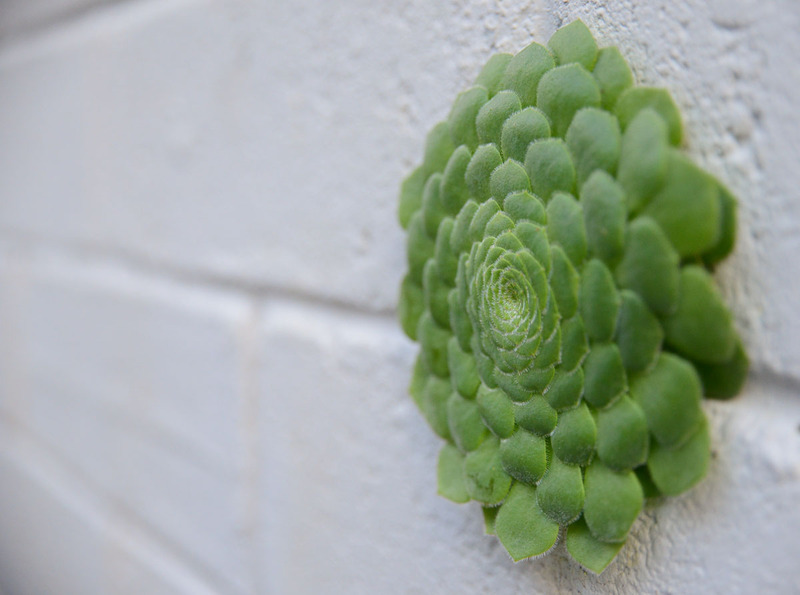 This succulent has impressive growth rates when happy. 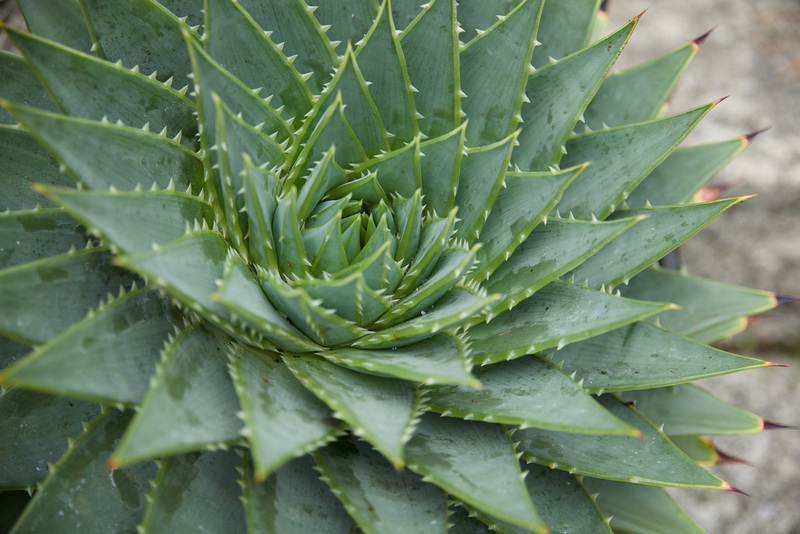 The Aloe polyphylla is a hungry, thirsty plant and best kept outdoors. 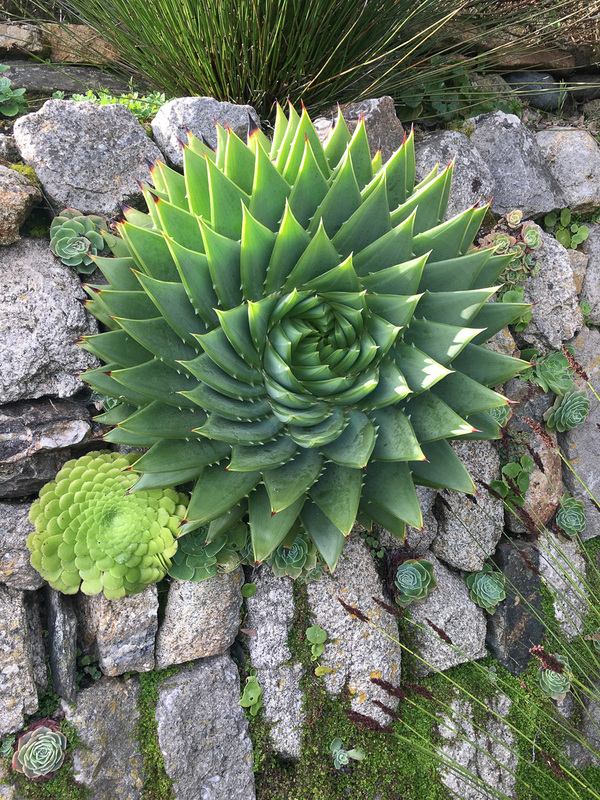 The perfect UK outdoor succulent, hardy to -15°C. Plant in full sun on a mound and at an angle. Use a free draining soil mix and add a feed. For more information view our product page. 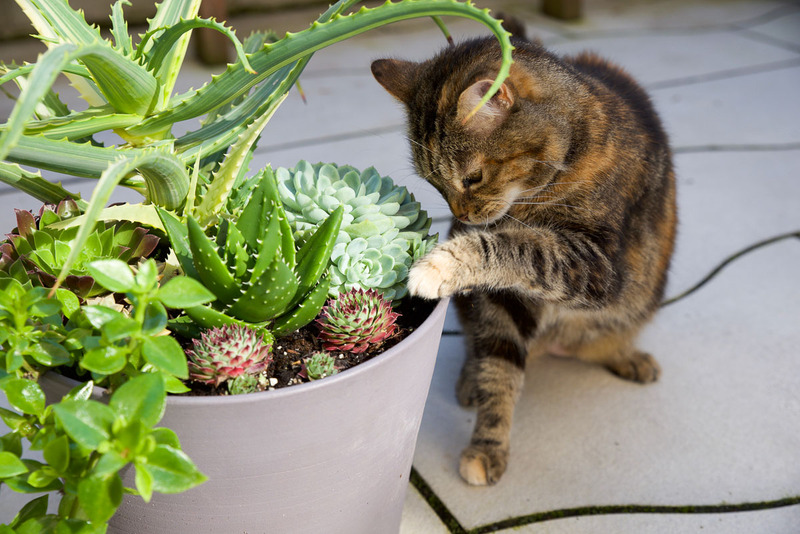 The Aloe polyphylla is incredibly popular so we can’t guarantee it will always be in stock. 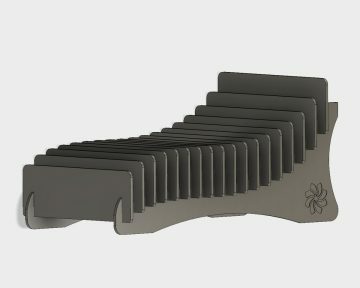 Sign-up to our newsletter to be kept up to date when products come back into stock. 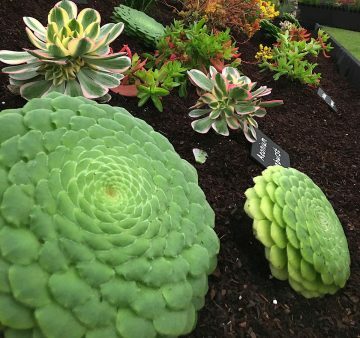 One of the most beautiful Aeonium species around, always drawing the attention at shows with is fascinating Fibonacci spiral and its compact and almost flat growing form. The Aeonium tabuliforme is one of the more tender Aeoniums, it grows incredibly well outside but needs protection from frosts or ideally temperatures below 4°c. 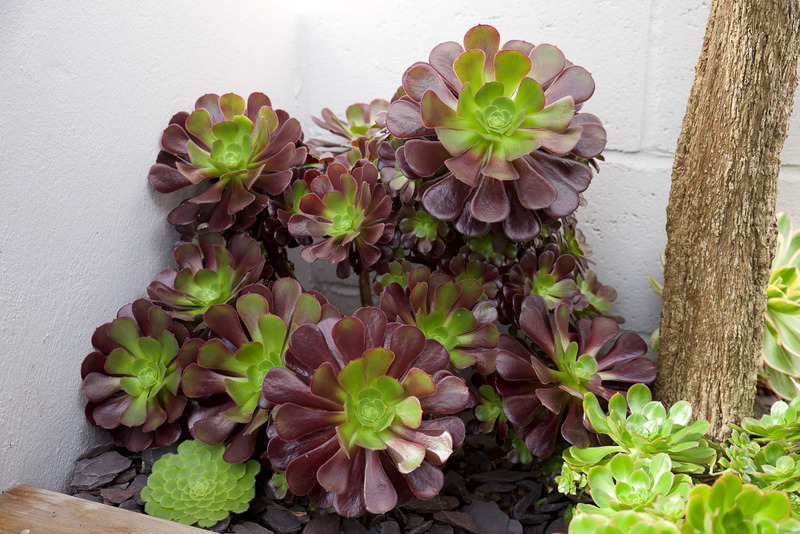 When planting this Aeonium it is best to slightly angle it so that water can freely run off from the crown (centre of the plant), it can even be planted vertically in walls and rockeries. In nature this plant can be found growing on the side of cliff faces so is well suited for vertical living. 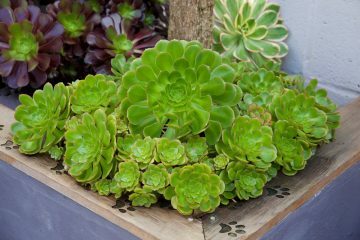 This succulent is a great feature plant and will appreciate some shade but can tolerate full sun when planted at an angle. It also makes a great indoor house plant. Plant in a good free draining soil mix, we feed our Aeonium tabuliformes in the spring so they can grow and shut down for the winter. Feeding less, leading into the winter months produces a tougher plant that has a higher chance of surviving the winter cold spells. Use a good free draining soil mix. Only feed in the spring. Angle the plant so water can freely drain off from the centre of the plant. The tabuliforme will tolerate shade making it a great house plant. Protect from frost and freezing temperatures. Doesn’t mind being pot bound. We wanted to share with you one of our fantastic designed garden rooms. 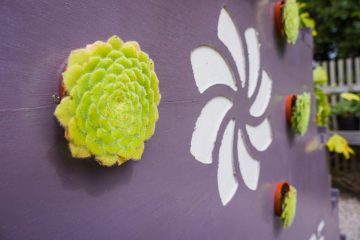 This was a collaboration between our new in house designer maker Mark Lea and Surreal Succulents. 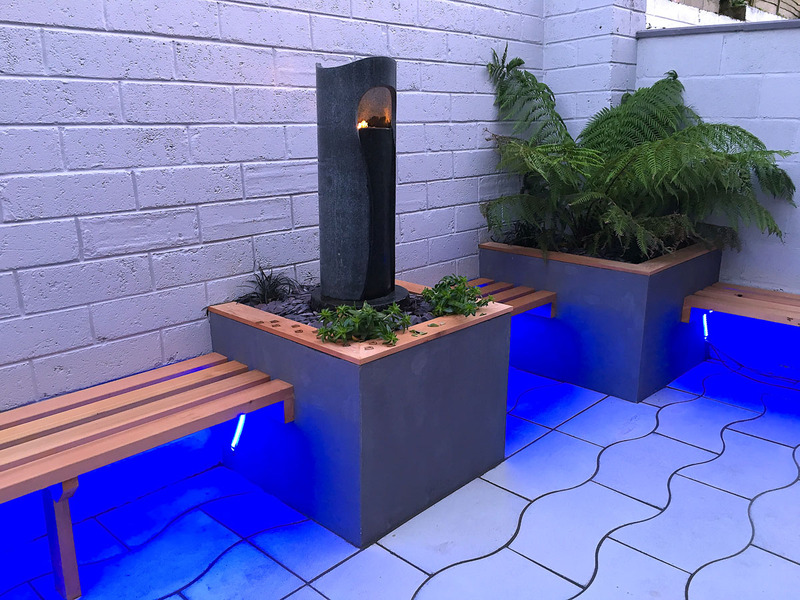 The garden/yard was a small space and it was a challenge to fit in all the clients’ demands, as they needed it to be practical as an entertaining space as well as showcasing their plants. With the current design it was hard to use the space for entertaining more than a few people. After a consultation with the client it was important to house an area for seating, cooking BBQ’s and evening relaxing in the summer time. 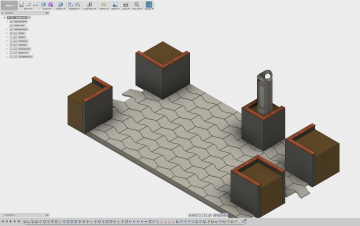 Using CAD (computer aided designs) we were able to create the layout of the space. Mark came up with the idea of having large raised planted beds, which would incorporate seating. 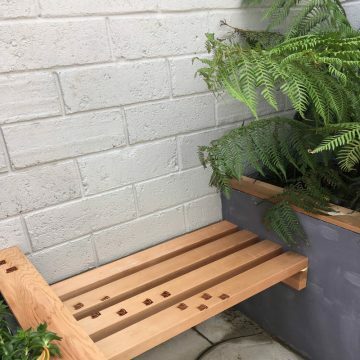 The seating would connect the space together and make great viewing platforms for all the chosen planted succulents. 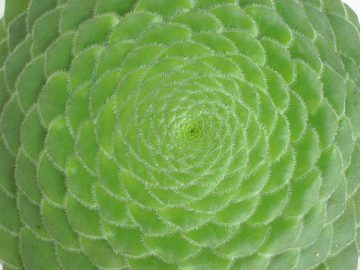 You would then be able to get a close up view of how fantastically architectural the structures of the succulent plants can be. 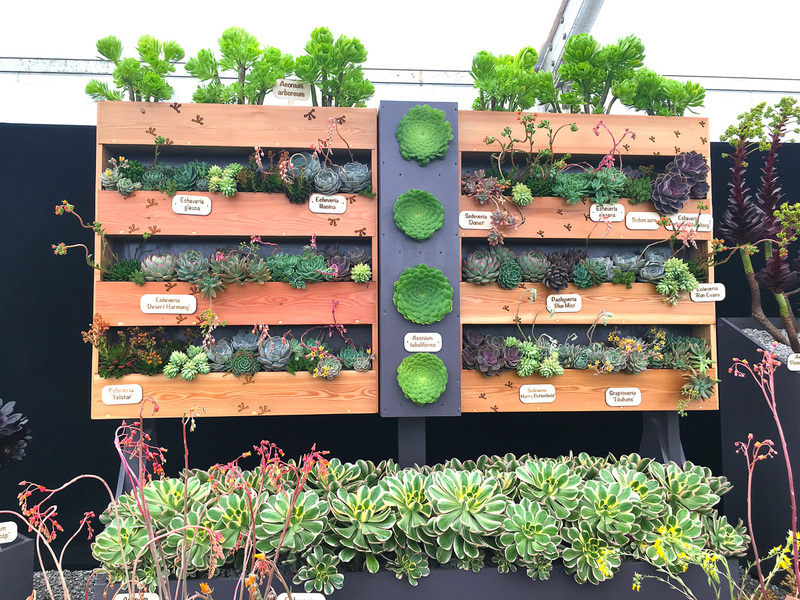 These beds would also provide the perfect growing conditions that succulents need to thrive. 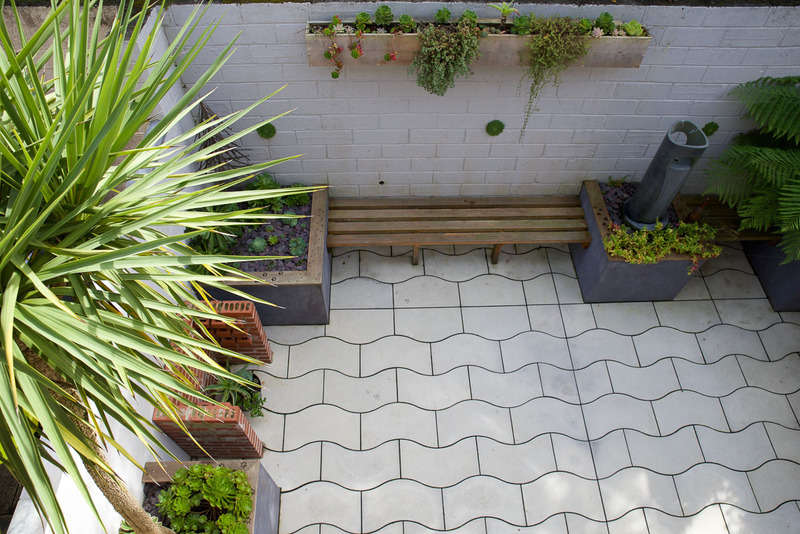 With the design being so geometric and such a small space, Mark decided to use a contemporary tile design to give the space a modern feel and break up the straight lines of the raised beds. This looked great on the CAD rendering and the client was happy with the design. The space was cleared and construction began, foundations were laid and the walls and raised beds were constructed. The raised beds were then rendered and painted to give the space a nice contrast. The walls were painted a light grey to make the space nice and light without reflecting or absorbing the natural light. These colours contrasted the red cedar wood that would be used for the capping and benches. 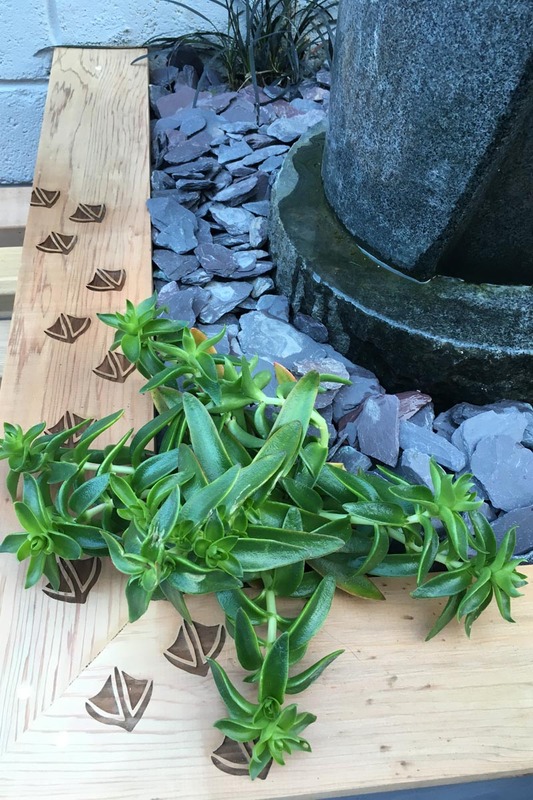 Being a contemporary designer Mark wanted to use some of his digital craft skills to add a narrative to the garden. The client would often talk about how his pet cats loved to use the space and was surprised by the amount of animals his cats would catch even though it wasn’t a rural location. 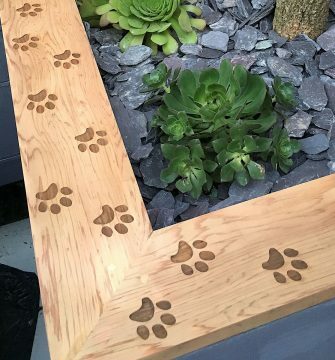 This gave Mark the idea to add this story into the garden, choosing to place hidden footprints on the top of the raised beds and benches to tell the story of all the animals lurking out there that might not often be seen. 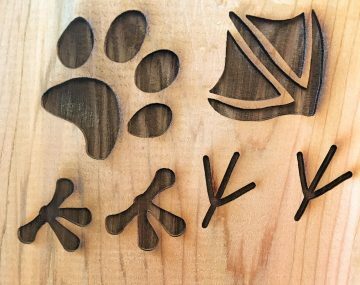 Mark used a laser cutter to engrave these into the surface of the wood with a process known as Rasta engraving. The laser burns into the surface of the wood and leaves the effect of the footprints. These varieties of succulents were used for their range of great contrasting colours and their striking architectural structures. The bespoke benches with etchings were then made and fitted. These connected the space and really show the clever design that made the space practical, meeting the client’s wishes. Every bench was under lit with colour changing LED’s so at night the mood of the space could easily be changed and controlled. The design for the space has really worked and can now comfortably house 10 plus guests. The client was very satisfied with the end result saying their house feels like it has an extra room added despite being their garden/yard. 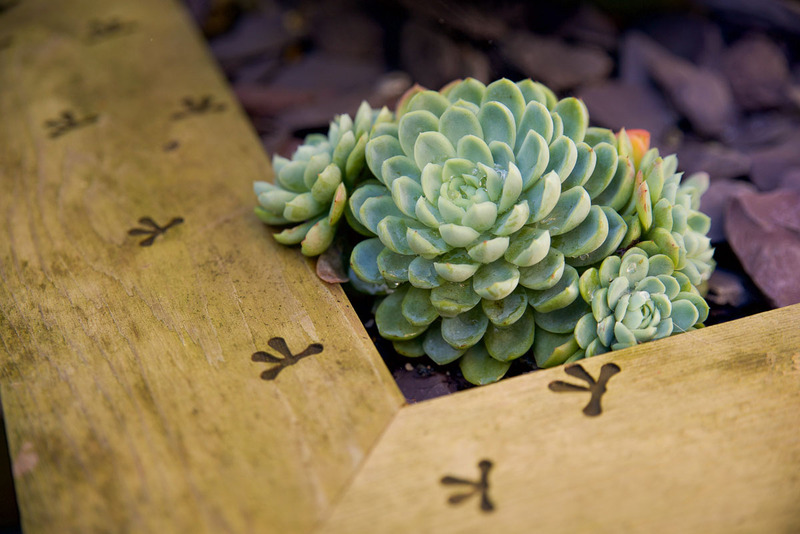 They were especially pleased with the way you can even enjoy the garden over the winter as the succulents look amazing all year round unlike a lot of flowering perennials which lose their flowers and leaves. With the clever use of design in the space, it feels so much bigger and roomy. The succulents in the garden are happy and looking fantastic, they have certainly grown in just over a year. We hope you enjoy looking through the images and are inspired by how small spaces can be used. How our succulents are packed and posted for safe delivery across the world. 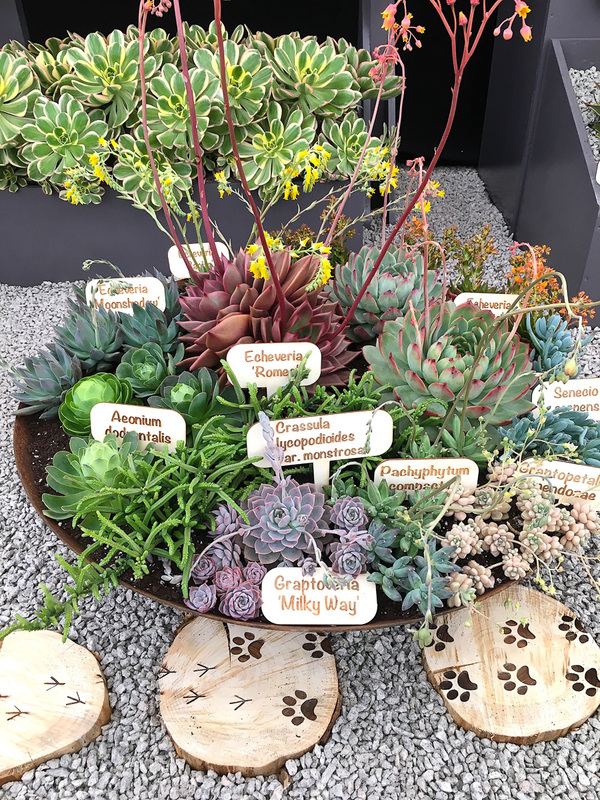 Here at Surreal Succulents we thought it would be helpful to write a guide on the correct way to enjoy and get the most out of your succulent plants when placing an order. 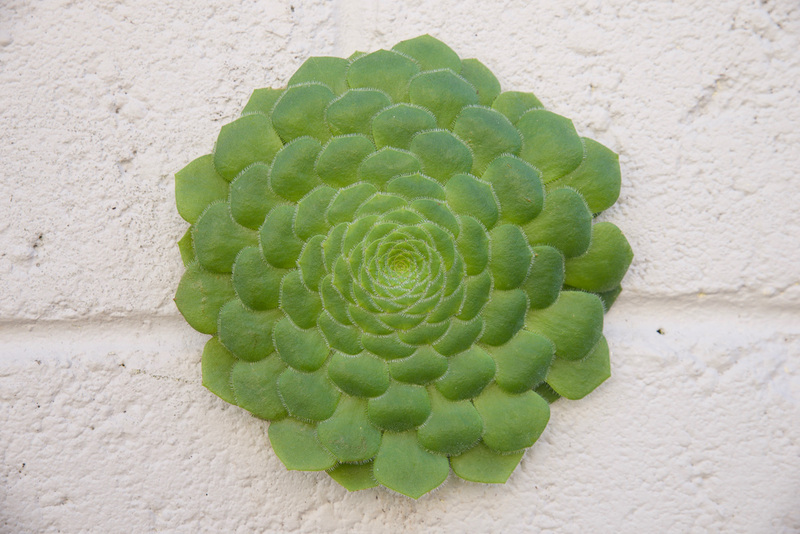 Surreal Succulents are able to post orders all over the world, if you are outside of the EU we can even obtain phytosanitary certification for export. This shows our plants are healthy and safe to be shipped to your country, bug free. In some countries, such as America, we can already ship up to 12 plants without certification. 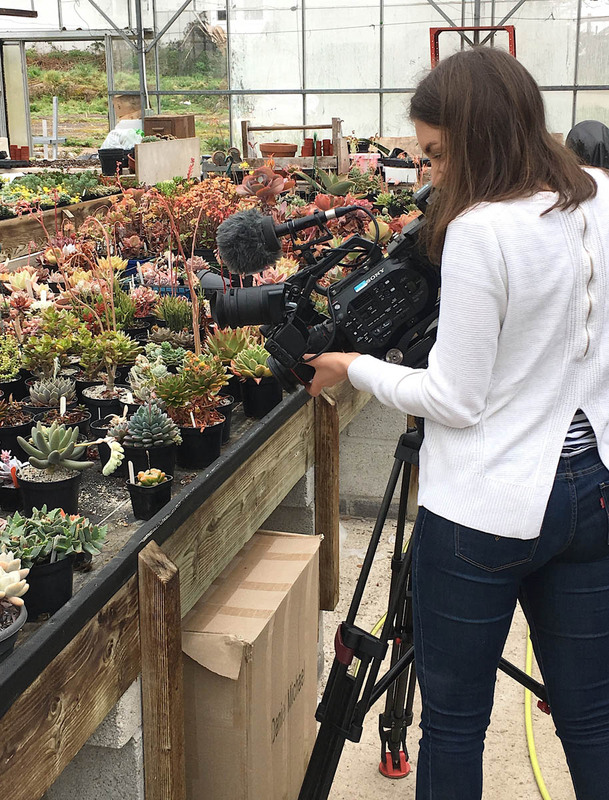 Then our skilled trained Surreal Succulents team will go and hand pick every plant. They will pick the largest and most importantly healthiest plant for your order. 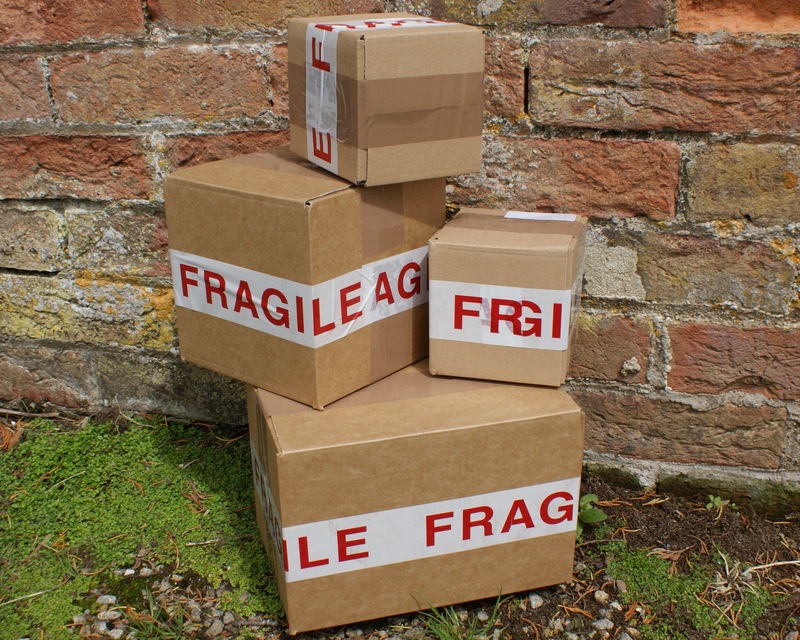 The plants are then de-soiled, as we believe this is the healthiest way to ship your plants. Shipping bare root also allows us to give the plant a root inspection. Posting this way is cheaper as its lighter to ship to your door saving you money. 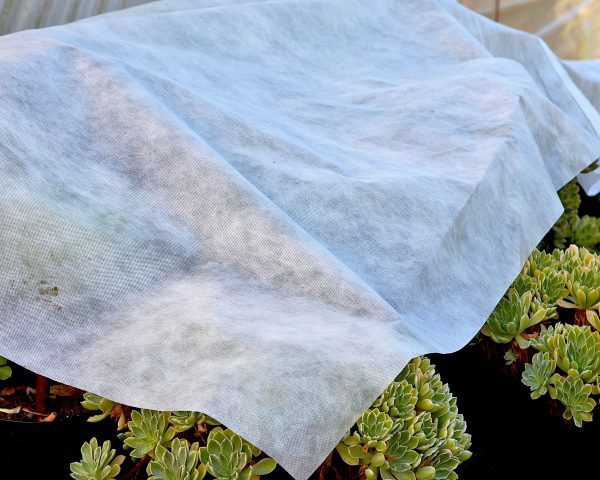 We then print a horticultural label and your plant is carefully wrapped in soft tissue paper and the labels taped to the outside for identification. 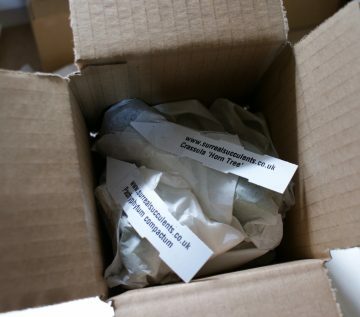 We then pack the plants with more tissue paper into its shipping box so it can handle the journey to your door. 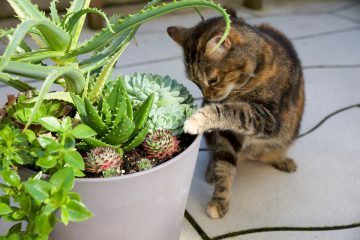 Once you receive your order carefully unwrap your plants and admire your beautiful new succulents for your collection. 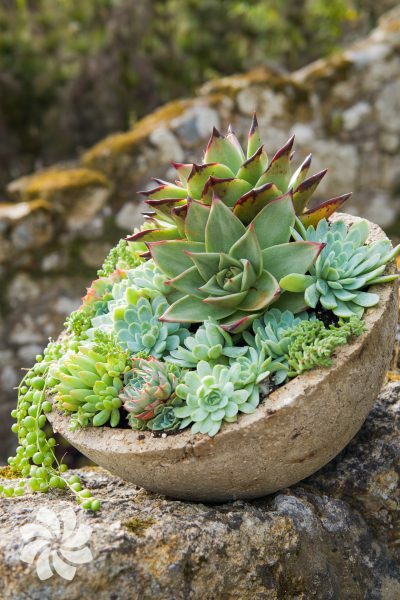 Pot your succulents up and give them a good watering please see our “How to care for succulents guide” for the best way to do this. The next thing to consider is your plants might have been in a dark box for several days, especially international orders. For best practice we advise potting your succulents up in a 9cm or 1 litre pot and placing them in a position so they will not receive intense bright direct sunshine between 11:00 and 15:00. 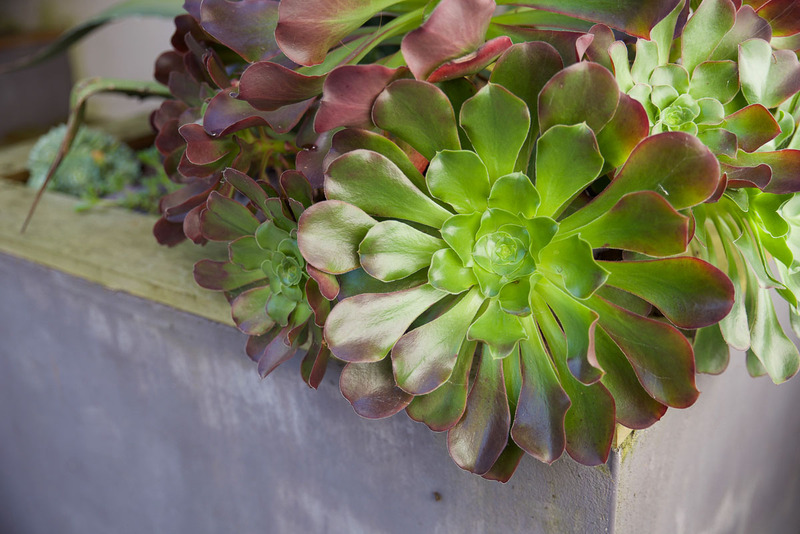 Your plants will need to reacclimatise themselves so we would recommend airing on the side of caution and allowing your succulents to adjust like this for 7 to 10 days. If indoors simply place near a window and acclimatise it in the same way. You will notice your plants will pick up very quickly this way and will show their stunning bright vibrant beauty as they adjust to the sunlight again. This simply allows them to adjust to their new environments gradually so you ensure a smooth transition. 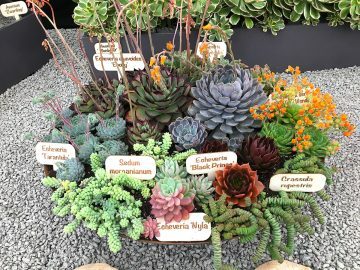 After 7 to 10 days you can now place your new succulents in their desired location and please admire and enjoy them for years to come. 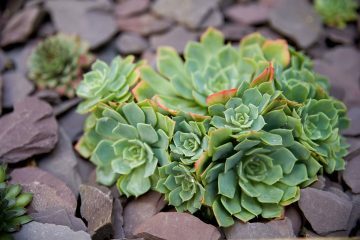 Overview of out green, amber and red hardiness zones for protecting succulents from low temperatures. 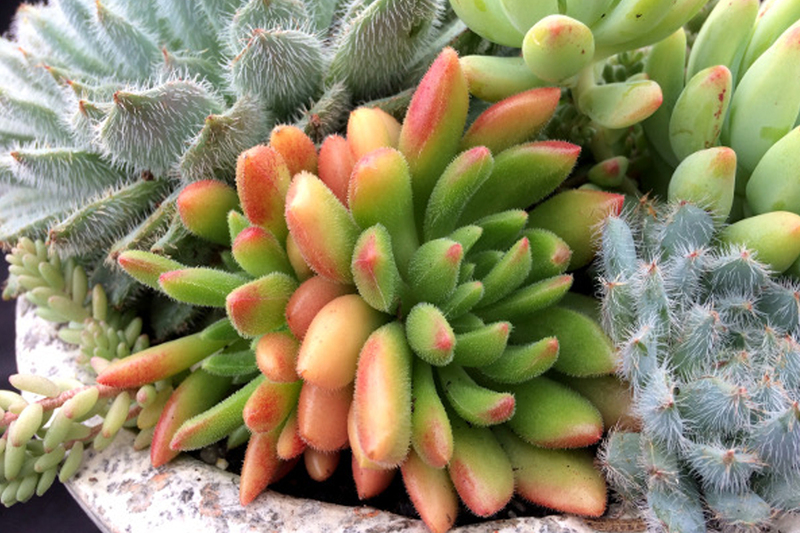 In the hardiness zone category we have decided to use a traffic light system to help you choose and understand the requirements for your succulents. This will help you understand where to place your succulents in a suitable location and what time of year to protect them or bring them in for the winter. These type of succulents will tolerate below freezing temperatures, they should happily live outdoors here in the UK all year round but will not like being continually soaking wet during winter so ensure good drainage at all times. These type of succulents will live outdoors all summer but you need to watch them when temperatures approach freezing. 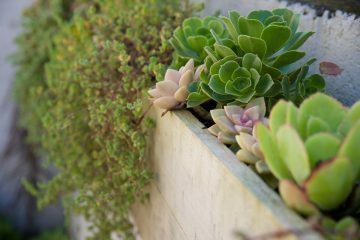 These succulents will not like being kept soaking wet during winter or colder months so ensure good drainage at all times. When temperatures approach freezing you would want to protect them with horticultural fleeces or bring them in for these cold spells. 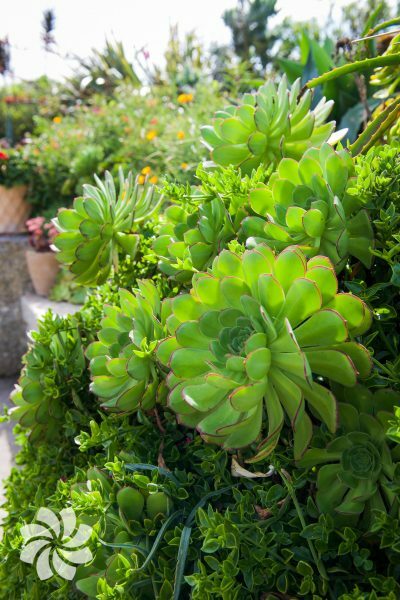 These type of succulents will live outdoors all summer but you will need to treat these succulents as tender. When temperatures drop for the colder winter months you would want to ensure they stay above 4 degrees for them to survive. 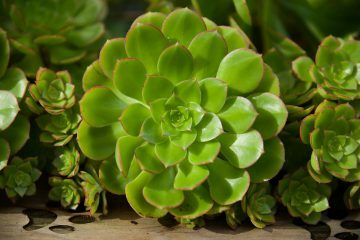 For more care advice please read the How to care for succulents guide in our advice and inspiration section. 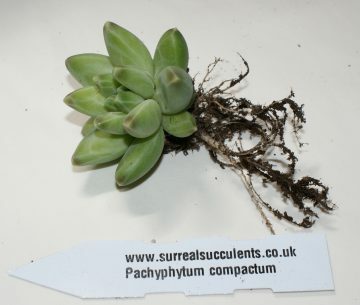 Frequently Asked Questions about orders, shipping and the condition your succulents will arrive in. Details of our award winning stand at this years Royal Cornwall Show. This year we wanted to create a show stand with a difference. 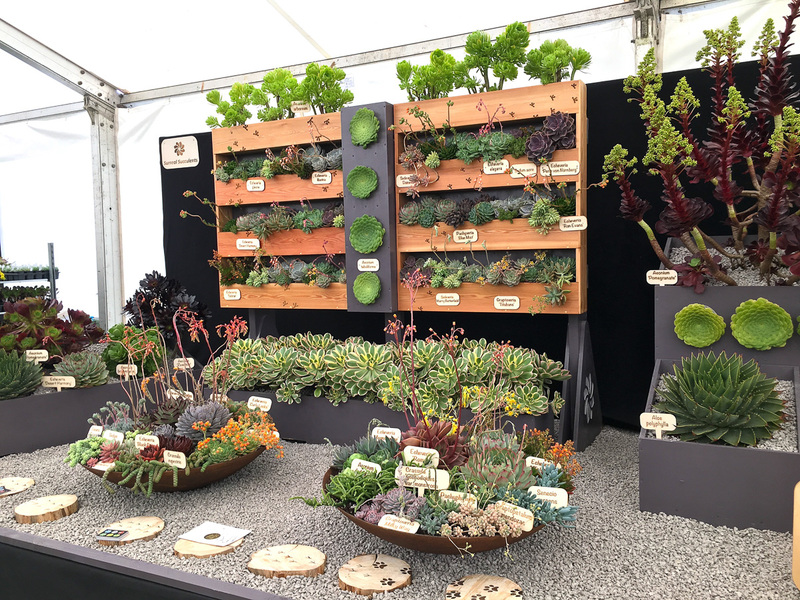 So we collaborated with designer maker Mark Lea to create a new look and display to show case our succulents and plants. 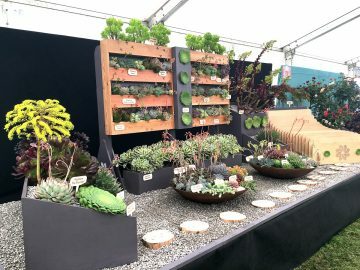 We worked together to come up with a design that was practical for the show environment but most of all to give our plants and succulents the theatre they deserve. 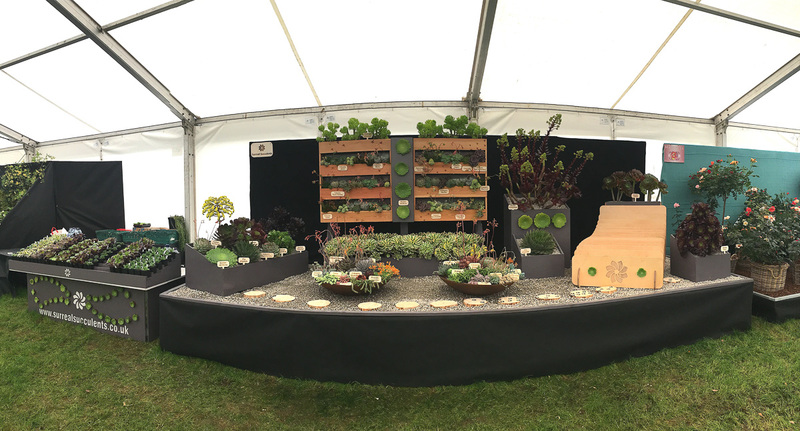 Having a display where the plants are in a tapering like fashion really shows off their natural beauty and as we discovered, this made our stand very tactile. It was lovely watching everyone come and admire and even stroke the plants as if they couldn’t believe they were real, especially the Aeonium tabuliforme. 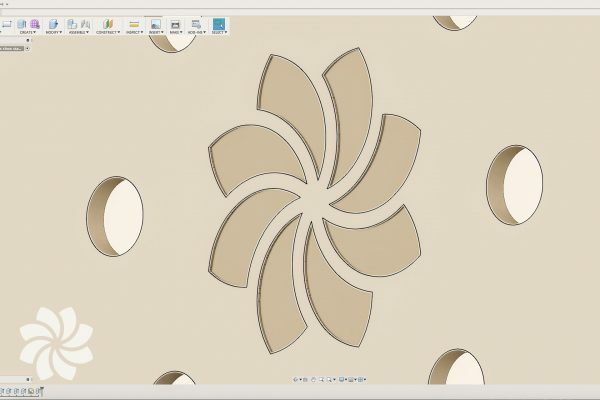 We used digital technology such as CAD design and CNC routing to design and make our stand. 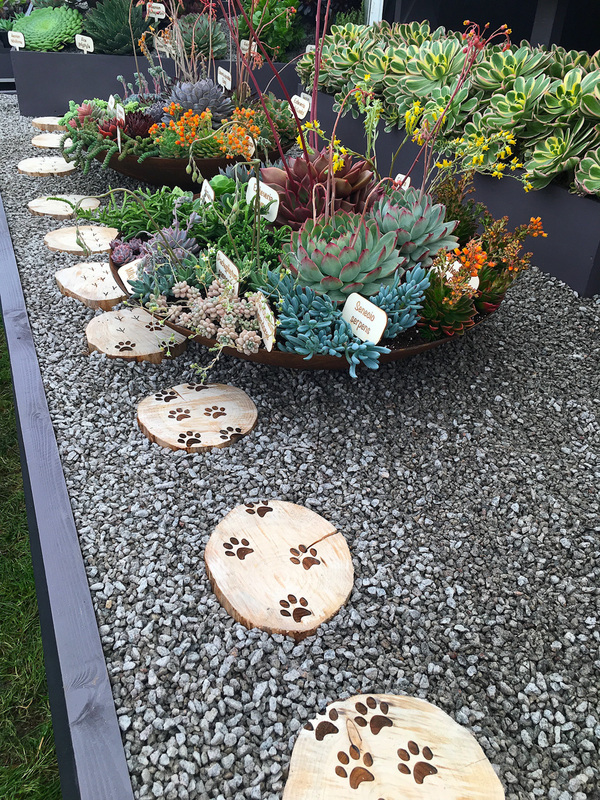 This was a great way to work as we could incorporate our logos and plants into the design. It also showed how an Aeonium tabuliforme naturally lives and generally survives better when planted at an angle. We explained this to everyone visiting the stand. 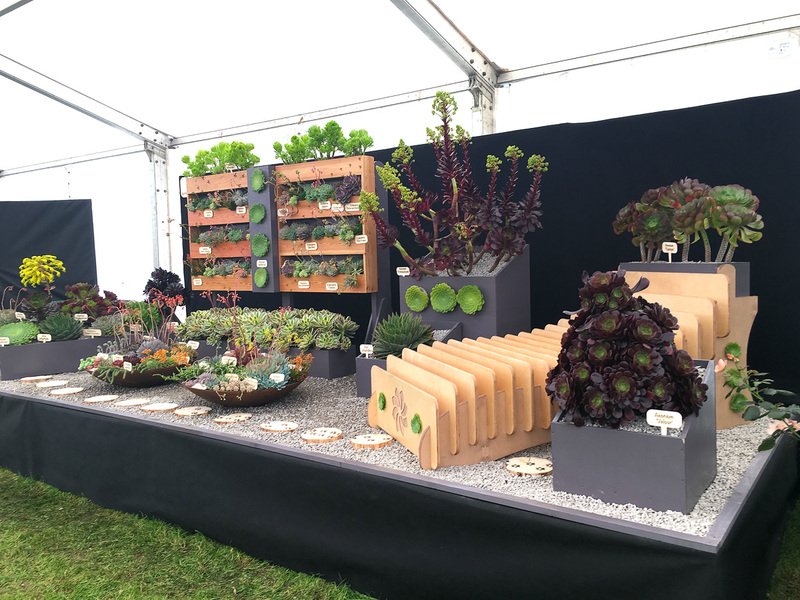 We really loved show casing our plants in the display garden just next to our sale stand. The visitors couldn’t believe how architectural and diverse the growing structures in these amazing plants were. 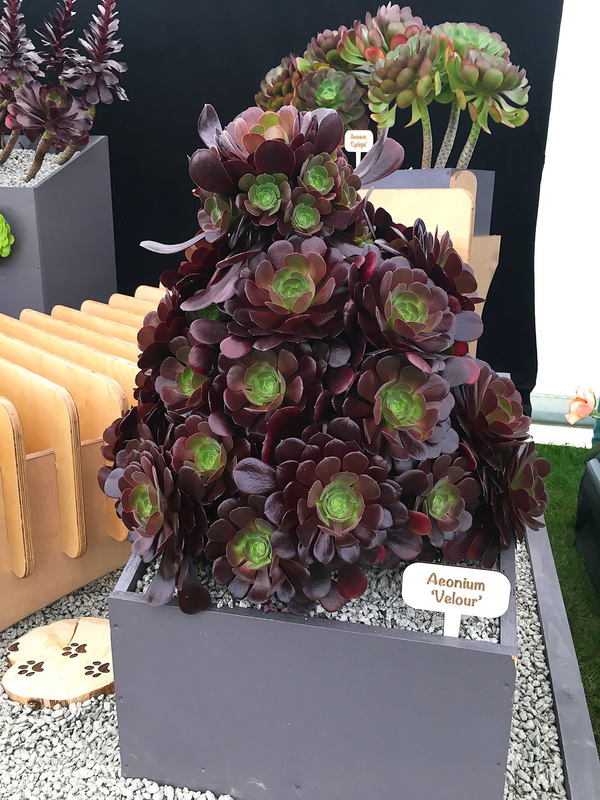 We chose a range of plants that were hardy below freezing such as Aeonium ‘Ice warrior’ and the impressive giant Aeonium ‘Pomegranate’. This was one of the visitor’s favourites, as it was in full flower showing off its spectacular bright yellow flowering spike. 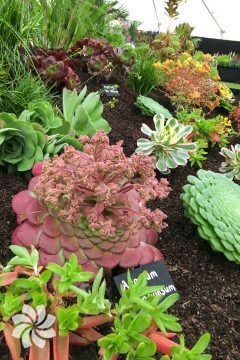 We also took Aeonium ‘Sunburst’ and Aeonium tabuliforme as these are plants can be grown in partial shade conditions, normally found in the gardens by shady walls. 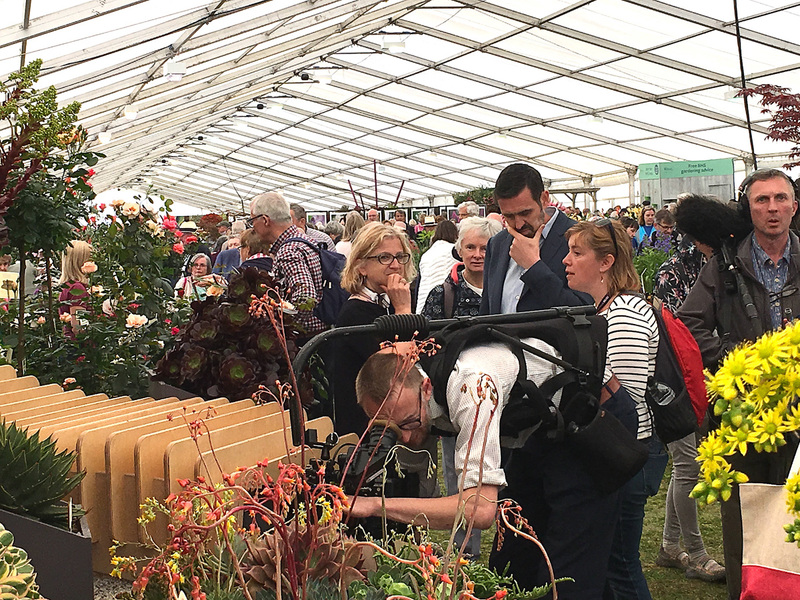 We had many of our show plants looking their best and we were so proud that many had come into flower for the show. The team really worked hard to achieve this and we think it really showed. 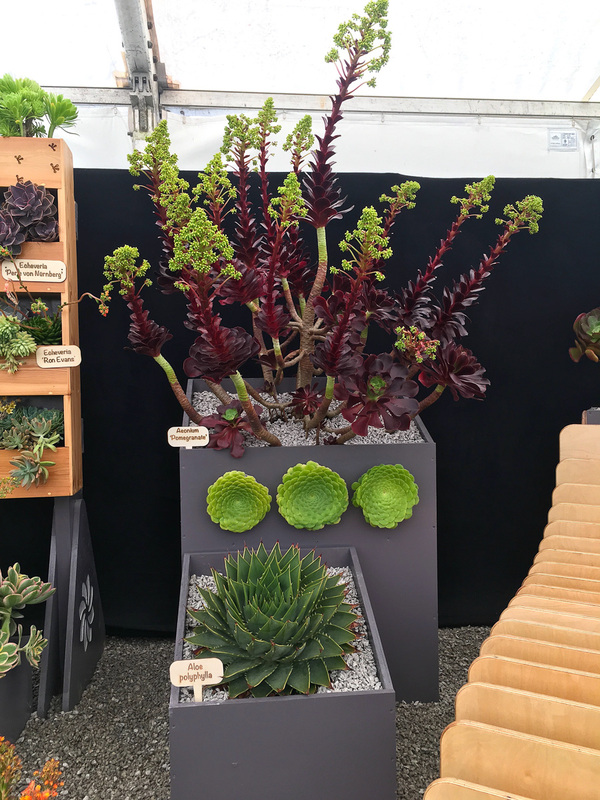 The Aeonium glandulosum, Aeonium ‘Pomegranate’ and Aeonium spathulatum were really a sight to see. We would like to thank you all for your kind comments these are greatly received We can’t wait till next year to see you all again. 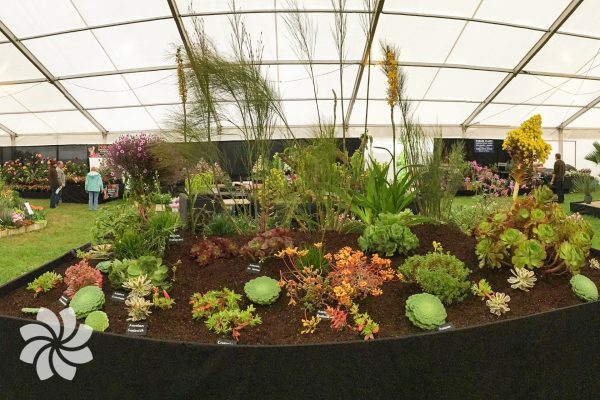 Please visit our shows and events page to find out when we are displaying at flower shows.